If you frequently check your referral traffic in Google Analytics (or any other analytics package), you have probably come across a number of referral sites that consistently have a 100% bounce rate with no time spent on your website. And if you aren't aware of these sites, then you definitely should be! Spammy referral sites generating multiple sessions on your website in a day seem to be an increasing problem. They can really skew your statistics (especially for smaller sites), producing inflated visitor numbers, increasing bounce rate and lowering your conversion rate figures as well. And if you are unaware of this, you could be making important business decisions based on poor data. To see where your referral traffic is coming from in Google Analytics, go to Acquisition > All Traffic > Referrals and check in the source column. Now check the Bounce Rate and Avg. Session Duration columns. If you are getting multiple visits from a domain which also has 100% bounce and 00:00:00 time spent on site (or almost 100% bounce and zero time spent on site), it may well be spam/some sort of bot that is trying to gather information about your site. 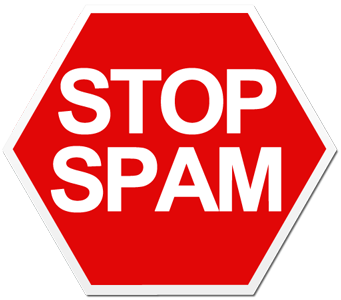 So How Do I Block Referrer Spam? In order to remove these sites from your analytics reports and stop them from skewing your figures, you will first want to add them to your .htaccess file or your web.config file if using IIS (a job for your web developer). You may also want to make an annotation in Google Analytics to say when you did this. In addition, if the above doesn't work you can set up Google Analytics filters to filter out certain types of traffic. You can set a new filter up by going to Admin, then in the view column, 'Create new view' from the drop down (this is important as you will always want to leave an unfiltered view in your account in order to avoid any data loss). Once you have created a new view (you can call it Filter Blocked Referrers, Filter Bots or something similar) you can then select that view and go to Filters > + New Filter (n.b. there are a number of ways you can filter your data to try and exclude spam, plus set up lots of other useful filters too - this will be the subject of a future blog post). Also, when blocking these sites ask your developer to block all subdomains too. Otherwise they will likely just crop up again in a different form. I'll be updating this list frequently, when new spam referrers show in any of the analytics accounts I manage – and hopefully this blacklist will help you to keep your analytics data clean and meaningful! For more advice on Google Analytics and making the most of your data, get in touch with me today.